HMH Books for Young Readers, 9780152162931, 40pp. Has your smoke detector ever tattled on you when you burned the toast? Does your sticky back door get the best of you? Do you have a secret hideaway where you keep your private treasures? 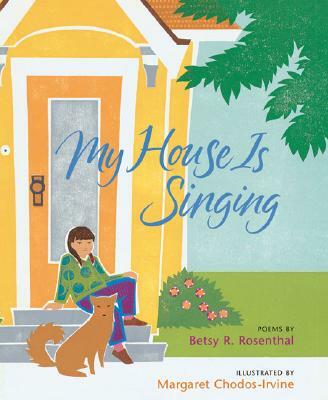 Told from a child's perspective, the poems in this affectionate collection celebrate everything that makes each house a unique and special place. From waking up in a cozy bedroom on a chilly morning to exploring a garage full of fascinating junk, this intimate house tour proves there's no place like home. MARGARET CHODOS-IRVINE is the author and illustrator of Best Best Friends and Ella Sarah Gets Dressed, a Caldecott Honor Book. She also illustrated Apple Pie Fourth of July,Hide and Seek, and Buzz, all by Janet S. Wong, Once Around the Sun by Susan Marie Swanson, Only You by Robin Cruise, and My House Is Singing by Betsy R. Rosenthal. Margaret Chodos-Irvine lives in Seattle, Washington.